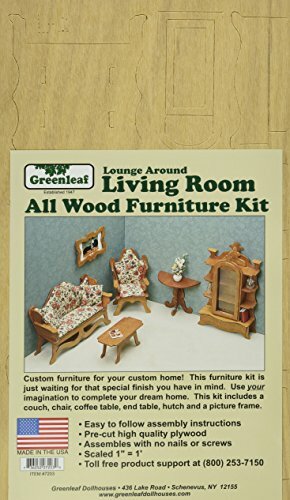 greenleaf dollhouse furniture kit. beautiful furniture kit that will add a great touch to your dream dollhouse. these unique pieces have a country feel and yet they would also easily fit into contemporary and island decors. each kit is gracefully designed featuring a relaxed and comfortable feeling. 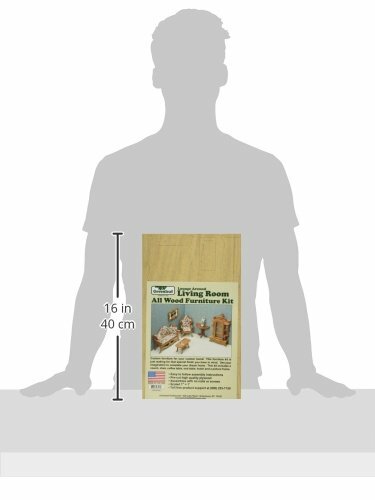 each room contains at least six pieces in the true 1in 1ft scale many rooms available each sold separately. unfinished wood construction. assembly is required tools and materials are not included. recommended for children 12 and up. warning choking hazard may contain small parts. not for children under 3 years. made in usa.